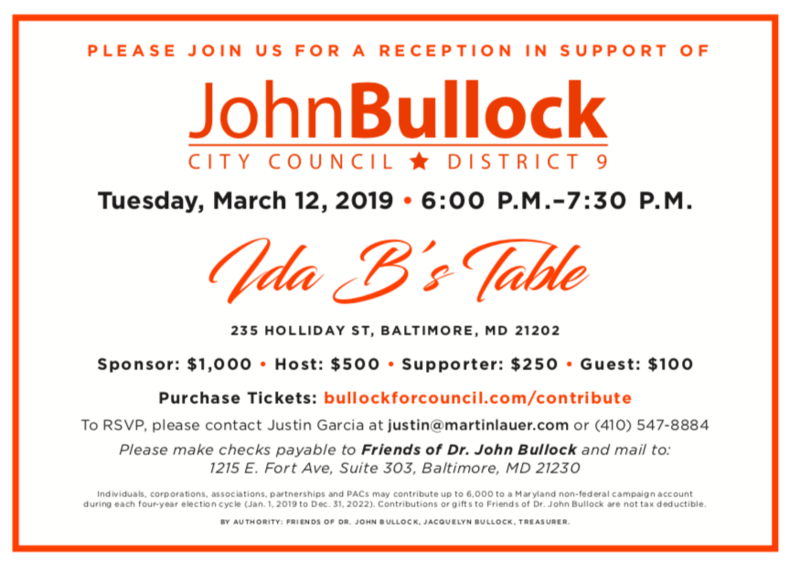 Please join us for a reception in support of Councilman John Bullock! We are committed to making Baltimore better by electing John Bullock to City Council. This grassroots campaign can only succeed with your support. Thank you for contributing to this movement for change.